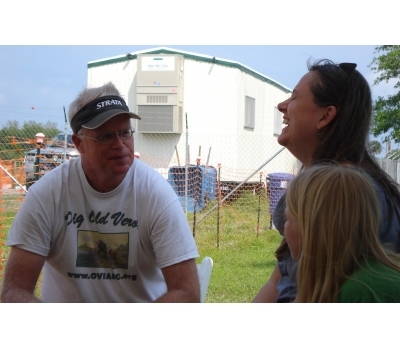 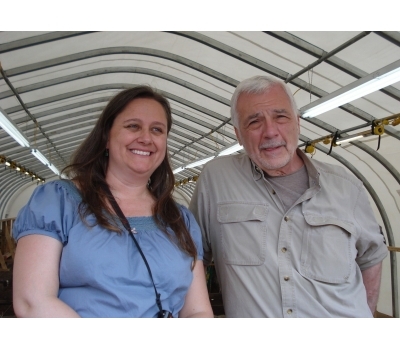 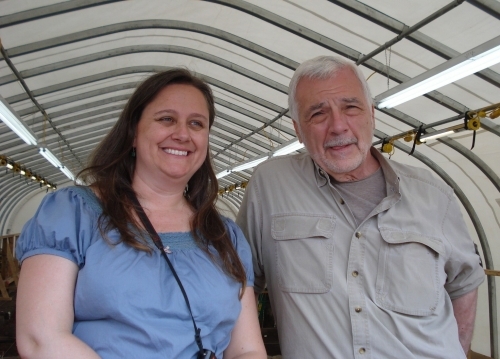 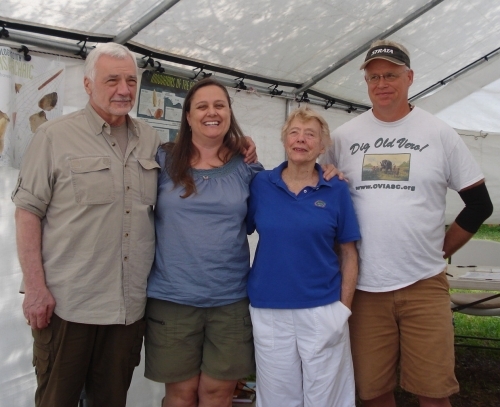 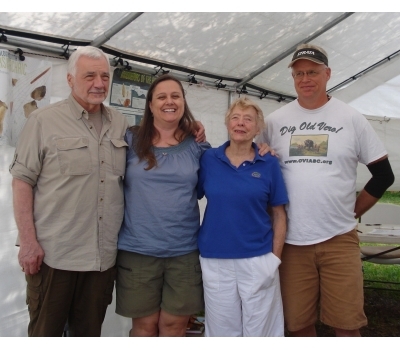 On Thursday March 19, 2015, Missy Allen, her husband Rich, and children Astrid and Gus visited the dig at noon. 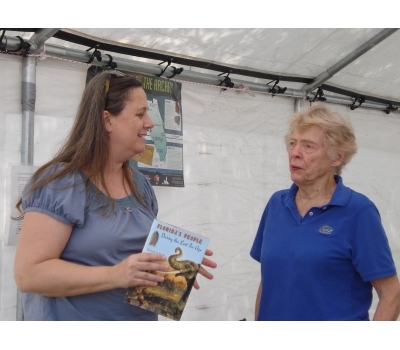 Missy is the great-granddaughter of Dr. Elias H. Sellards who, amidst controversy, identified the Old Vero Man Site 100 years ago as the first place in North America to show both man and animals coexisting during the Ice Age 14,000 years ago. 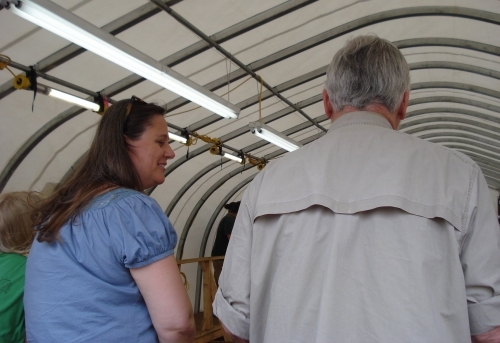 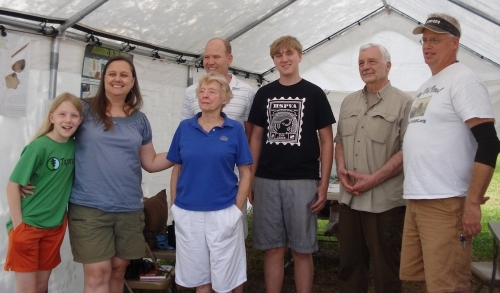 Missy and her family, came to the site to meet several people associated with the dig: the crew from Mercyhurst University, Dr. Andrew Hemmings, Dr. James Adovasio, Dr. Barbara Purdy and to have a special tour inside the excavation. 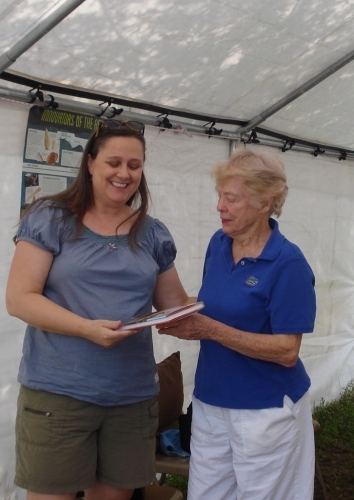 As we all know, Dr. Barbara Purdy, professor emerita of Archaeology and Anthropology at the University of Florida, instigated renewed interest in the site in 2008. 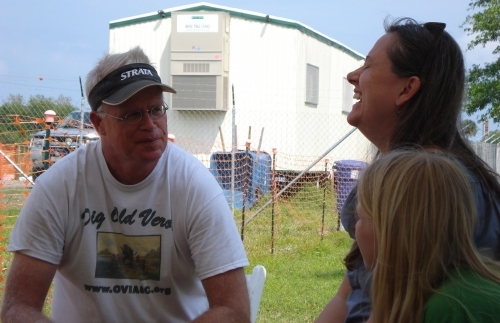 The Old Vero Ice Age Sites Committee (OVIASC) was formed to organize this new excavation and discover the truth about Vero’s deep history. 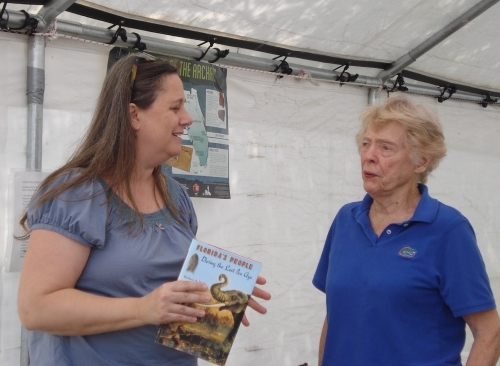 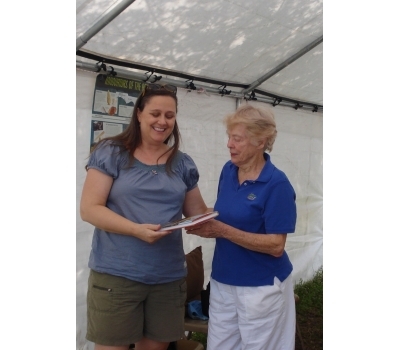 Dr. Purdy presented Missy with a copy of her book Florida's People During the Ice Age, which she had dedicated to Dr. Elias H.Sellards, Missy's great-grandfather. 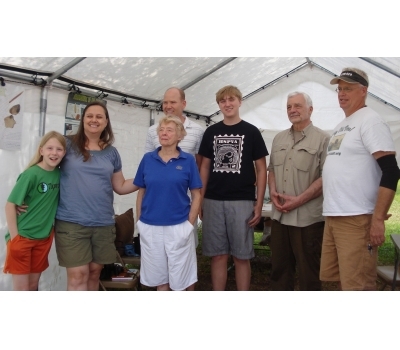 Dr. James Adovasio, Principal Investigator of the project and head of Mercyhurst Archaeological Institute, has reported that the findings of the 2014 Dig positively demonstrate the presence of humans and late Pleistocene animals at the Vero site which could well be the most significant Ice Age site in North America. 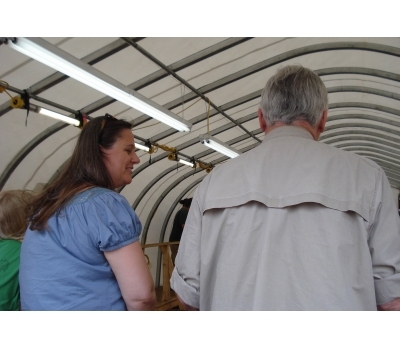 He proved that Dr. Sellards was correct in his thinking.